This year, I started a segment in my blog called Baby & Me. This is where I compile all the products sent by different brands/companies for my daughter and I. Read Baby & Me: June and August edition. Are you having a baby or a mom like me? Well, I am happy to announced that after 68 years of taking care of Filipino skin, Cetaphil brings you a line specifically developed to care of your baby's normal skin- exactly like how a mother's loving touch will be. Backed by decades of world-class skincare science, Cetaphil introduces the arrival of Cetaphil Baby to provide the best in skincare that a baby deserves everyday. Gentle Wash and Shampoo- A baby's head deserves more than just any shampoo, Cetaphil's Gentle Wash & Shampoo is tear free, soap free, hypoallergenic, and PH balanced to make sure baby has an easy and gentle bath. It effectively soothes and moisturizes dry normal baby skin. Shampoo- Cetaphil Baby Shampoo's natural Chamomile has a tear-free, and soap-free formulation, making bath time a pleasant experience for both mother and baby. Ultra Moisturizing Bath and Wash- With Cetaphil Baby's Ultra Moisturizing Bath and Wash, baby doesn't just get his bonding time with mommy, but also the much-needed moisture for his delicate normal baby skin. Formulated with aloe vera, almond oil, and 1/3 lotion, it gently cleans your baby's skin without drying. Apart from being tear free and soap free, it is also hypoallergenic and PH balanced. Daily Lotion- All babies need added moisture because of their undeveloped skin barrier. Cetaphil Baby Daily Lotion has shea butter to preserve the skin barrier and to provide moisture that lasts throughout the day. It soothes and nourishes baby's normal skin and protects it from dryness. Massage Oil- Give your child the best body massage with a mother's loving touch and the best product that can help seal in much-needed moisture. Cetaphil Baby Mssage Oil has shea butter and vitamin E to preserve baby's skin barrier, and is hypoallergenic to provide your baby with an "active seal". It protexct, nourishes, and moisturizes your baby's normal skin throughout the day. Utra Sensitive Baby Wipes- Perfect for babies with normal skin. It has soothing aloe vera, cotton extract and Vitamin E which helps prevent nappy rash from developing. As a mom, I always want what is best for my daughter. 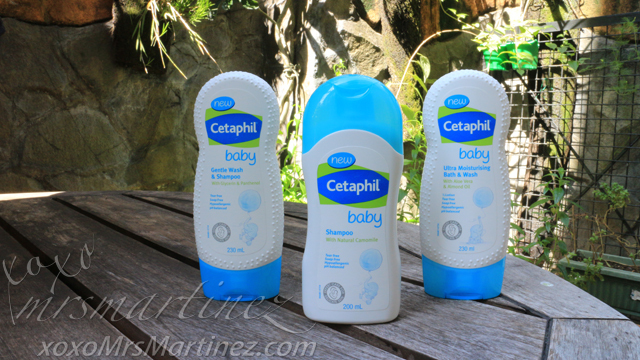 I can't wait to try this complete line of baby care products from Cetaphil. For more information, you may visit the Cetaphil Baby website http://cetaphil.com.ph/baby/, and for updates- Facebook, Twitter and Instagram. Cetaphil Baby line is available in select South Star, SM Hypermarket and Shopwise. My daughter loves running around and playing outdoors. Don't get me wrong, I love seeing her having the time of her life but I dislike the "amoy-araw" or "amoy-pawis". Thank goodness, Team Kramer co-creates a new baby cologne brand with Zen Zest called Sniff & Cuddle. Sniff & Cuddle baby cologne. It keeps my daughter smelling and feeling fresh, even if she is having fun under the sun! "Incredible" for #GavIncredible has a clean, powdery scent. Sniff & Cuddle is available in all Zen Zest outlet, Boardwalk direct-selling dealers, www.sniffandcuddle.com, and soon in supermarkets and personal care stores nationwide. It's no secret that like many Filipinas, I have experienced hair fall problem. A lot of hair strands are lost in one day. I get frustrated every time I see my strands in the bathroom, inside the car and even on my pillow! Introducing Dove's most effective solution to hairfall- the Dove Hair Fall Rescue+ range, infused with Trichazole actives that nourish and strengthen your hair from roots to tips. It's as simple as 1-2-3. Cleanse and mositurize with Dove Hair Fall Rescue+ Shampoo and Conditioner. Then, add the last step of locking your hair in place with Dove Hair Fall Rescue + Intensive Hair Tonic. 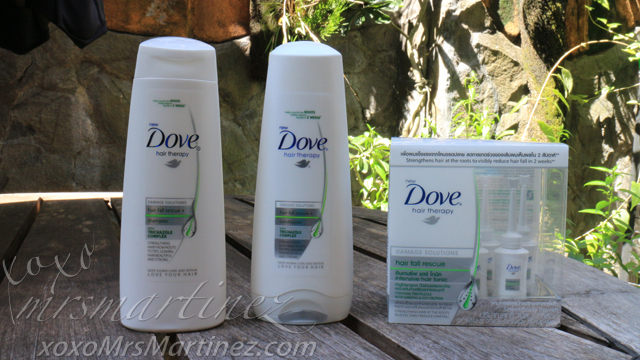 I am very optimistic with this new range of products from Dove. I can't wait to use it for the next two weeks so I can #StopCountingHairfall. Dove Hair Fall Intensive Hair Tonic is now at 50% off, now only Php 235 based on SRP. Grab yours now at Beauty MNL, Zalora, or Lazada. Starting from the crown of her head to the tips of her soft hair, the hagod is a signature move of the modern, independent woman. The hagod involves running her fingers through her hair- stroking it from the roots to the tips. Whether the hagod results in gathering locks to one side or letting hair naturally fall back into place, every modern woman knows that the hagod is only possible with hair that's soft and manageable. Palmolive Naturals Conditioner ensures a woman's hair is always hagod-soft and hagod-ready from day to night. Its formula, infused with 100% natural extracts and micro-moisturizers, penetrates deep into hair. With continued use, Palmolive Naturals onditioner gives hair long-lasting softness, every woman will want to do the hagod from day to night. Plus, it has Palmolive's signature, long lasting fragrance, releasing an irristible scent with every stroke. 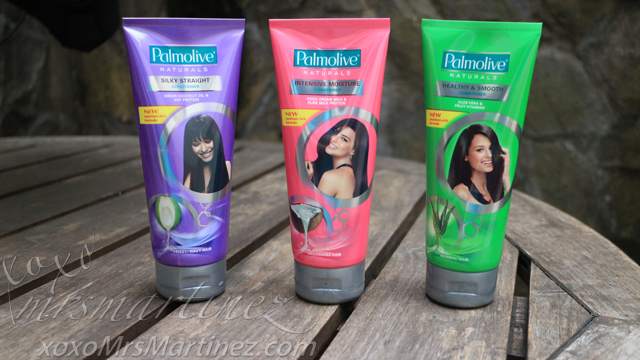 Share your Palmolve Hagod on www.facebook.com/PalmoliveNaturals and use the hashtags #ItoangHagodKo and #PalmoliveHagod. Although I am blessed with a flawless skin, I also experience blackheads and unwanted spots from time to time. 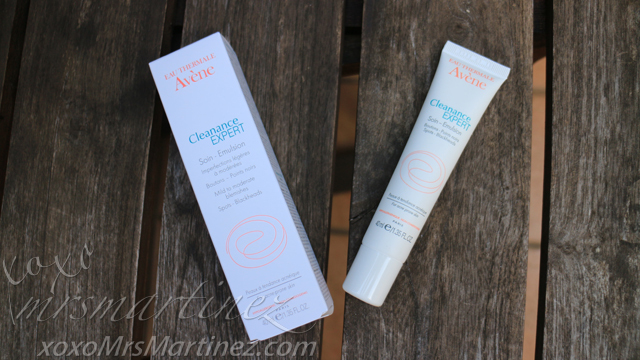 The new Avene Cleanance EXPERT looks promising as it eliminates mild to moderate blemishes. This acne treatment solution also hydrates and mattifies the skin minimizing shine. Best of all, it is safe for use by people with sensitive skin like me. Eau Thermal Avene's wide range of high-quality products are available in select Watsons and Mercury Drug stores. Only Php 985 (that's 20% off) from today until December 31, 2015.
pH Care Naturals Papaya is specifically infused with papaya extract, nature's best kept whitening secret, that can safely whiten the bikini area in as early as 14 days! pH Care Naturals Guava contains guava lea extract, an active ingredient known and proven over generations to cleanse and provide natural anti-bacterial protection. 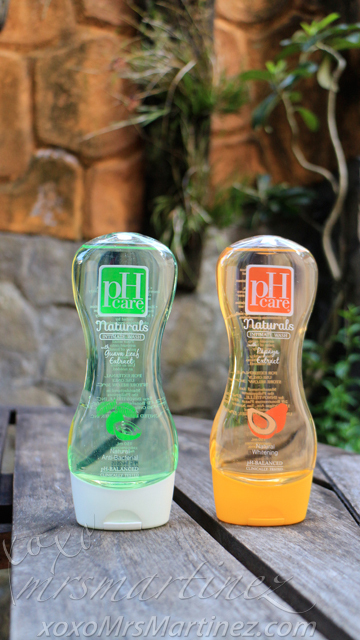 pH Care Naturals is pH-balanced and clinically tested mild and safe for everyday use. It is also available in 50mL (Php 49.50). I love potato chips but I am on a diet. Luckily, I found one brand that is guilt-free. 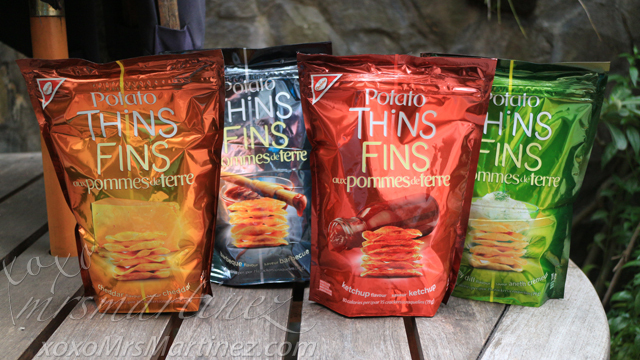 The new Potato Thins Fins has only 90 calories per 15 crackers. These baked potatoes are perfectly seasoned with no artificial flavours or colours. This crispy snack has a light texture and a delightfully delicious taste. Choose from its four flavors- Creamy Dill, Cheddar, Ketchup and Barbeque. Potato Thins Fins is now available at SM- MOA, Sta. Mesa, Cubao, Harrison, Bicutan, Fairview, North EDSA, Makati. I hope you like all the products that I included in Baby & Me November edition. Let me know which ones you have tried. And don't forget to leave a comment!